Surely a true gamer must know what is the game FPS (First Person Shooter). This game is a favorite of gamers from around the world. In fact, many tournaments are held with great prizes. 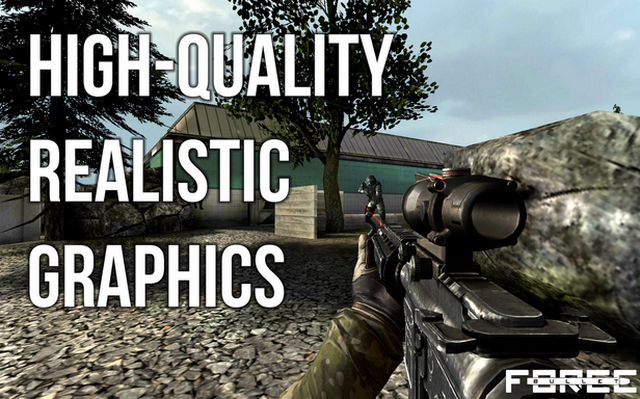 The best shooting games like Call of Duty and Counter Strike are FPS games for PCs. But there are many cool Android games with the FPS genre. Well, any Android FPS game that is fun to play ?. Best Shooting Games for Android. See also: List of The Most Difficult and Frustrating Android Games. 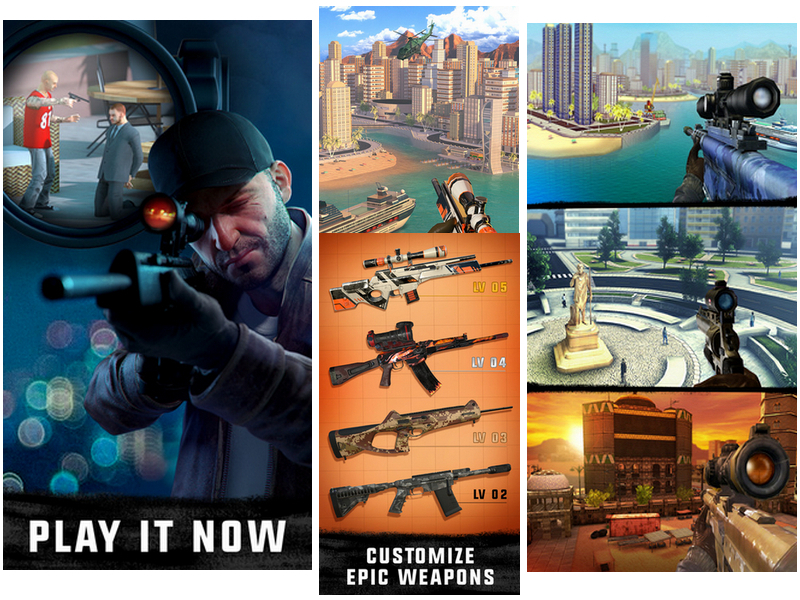 Lots of the best gaming options with the FPS genre in the Google Play Apps Store. You can search and then download it. But if you're confused, here's a best list of Android FPS games you can download for free on the Google Play Store. The first best fps games for android offline - online is Bullet Force. This FPS game was created by Lucas Wilde. In this game, you can use more than 20 different weapons with 30 skins. Uniquely, the game Bullet Force can be played online or offline. 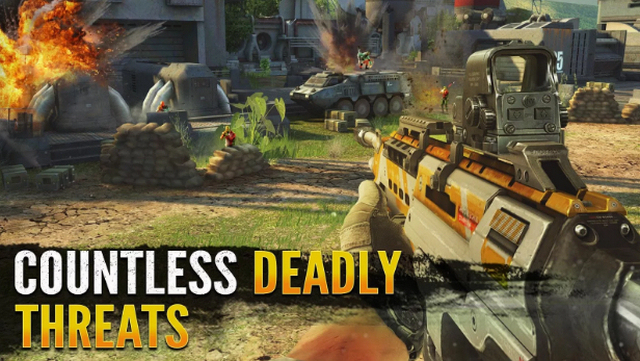 Bullet Force Gameplay Trailer (Video). The best FPS games for Android without internet Bullet Force free download, here. 2. Sniper 3D (Assassin) Gun Shooter: Free Shooting Games - FPS. The next best shooting games for android is Sniper 3D (Assassin) Gun Shooter. Games made Fun Games For Free featuring the best graphics with a gameplay that is suitable for your sniper souls. There are hundreds of missions with a variety of weapons that you can try. Sniper 3D (Assassin) Gun Shooter Gameplay (Video). Sniper 3D (Assassin) Gun Shooter: Free Shooting Games - FPS free download, here. 3. UNKILLED: Multiplayer Zombie Survival Shooter Game. In the UNKILLED game, you will become the best and strongest Zombie Hunter. This shooting games for android presents zombie enemies that are more numerous, bigger, and more creepy. In addition, there is also an autofire shooting system that makes you more focused on the mission. 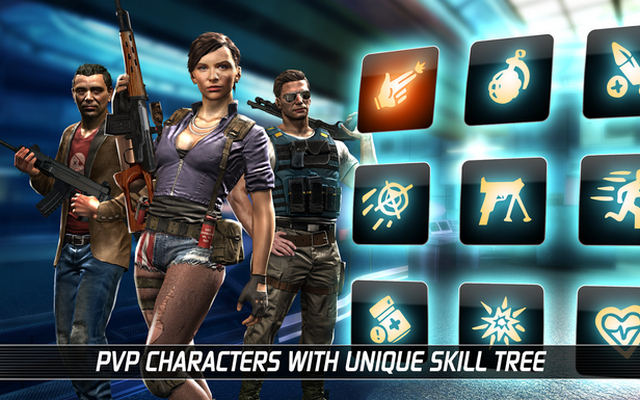 Feel the thrill of Android FPS game UNKILLED! UNKILLED: Multiplayer Zombie Survival Shooter Game free download, here. Kill Shot Bravo is a game made by Hothead Games that offers stunning action. 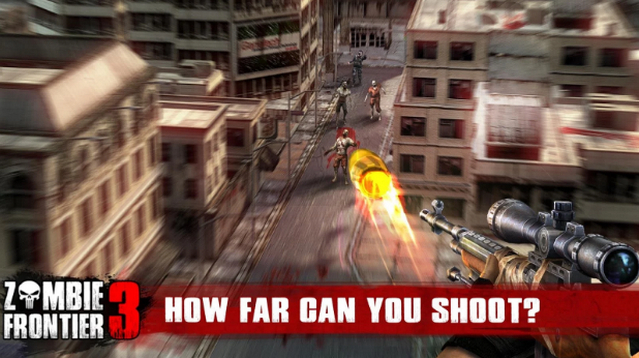 With fine graphics, and cool visual effects and explosions, this shooting games for android is a must for you to try. Kill Shot Bravo Gameplay Trailer (Video). Download best shooting game for Android Kill Shot Bravo here. See also: Top 5 Weird Android Games. 5. Zombie Frontier 3 - Shoot Target. This series of Android FPS game is getting more exciting because it has reached the third series. Zombie Frontier 3 offers smooth graphics, as well as gameplay that is more sinister and tense. Here you must fight a bloodthirsty zombie army. Zombie Frontier 3 Gameplay (Video). Download best shooting game for Android Zombie Frontier 3 here. 6. Blitz Brigade - Online FPS fun. 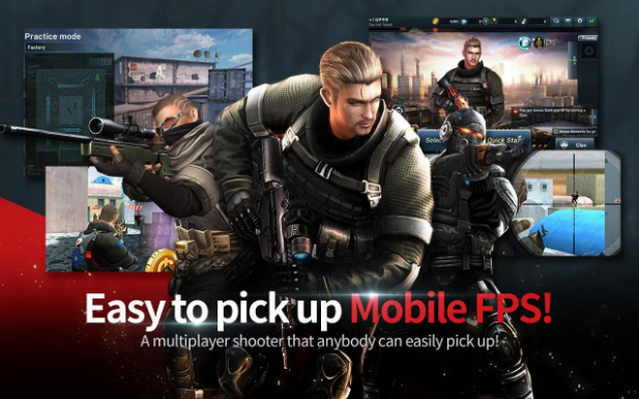 Gameloft has Android FPS games that are not less exciting and fun. 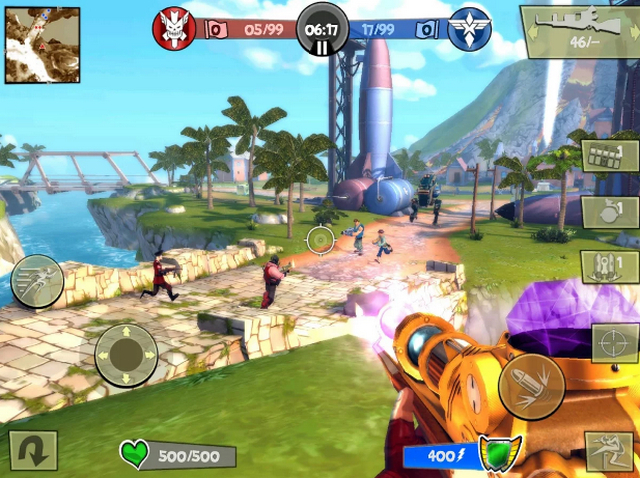 Blitz Brigade - Online FPS fun offers more colorful gameplay. You can choose 12 unique characters and more than 100 weapons you can use. Blitz Brigade Gameplay Trailer (Video). Blitz Brigade - Online FPS fun free download, here. After eliminating the enemy in the form of troops and zombies in the best Android FPS games above, you can recreate for a moment with this one game. 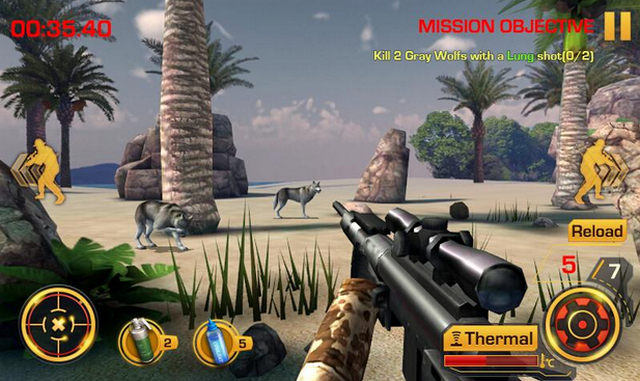 In the Android FPS game entitled Wild Hunter 3D, you must hunt wild animals in the wilderness and the vast desert. You should be able to aim calmly but deftly. In this game, you can just meet the biggest and most dangerous animal in the world. Enjoy the thrill of being a hunter and complete 200 missions in the Wild Hunter 3D game that you can download below. Wild Hunter 3D Gameplay (Video). Download best shooting game for Android Wild Hunter 3D here. 8. Modern Combat 5: eSports FPS. 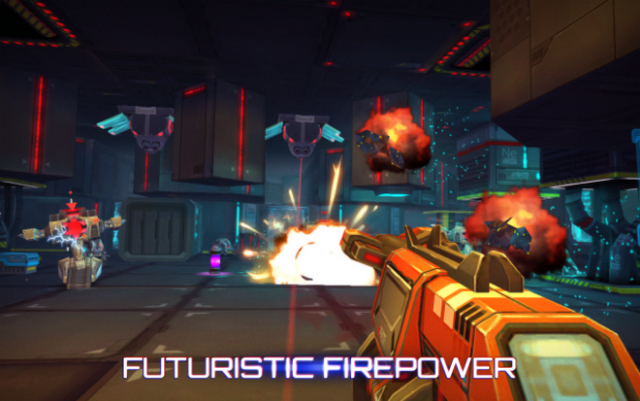 Android FPS game made by Gameloft offers cool graphics, as well as exciting and thrilling gameplay. No wonder that this Android FPS game is so popular besides Zombie Frontier 3 and Blitz Brigade game. 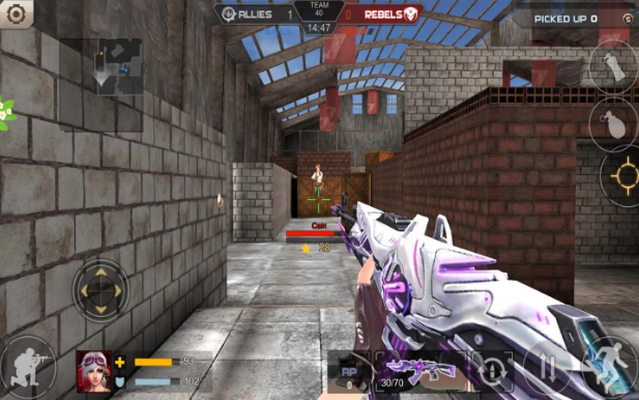 Even Modern Combat 5: eSports FPS is the fifth game of Gameloft's Modern Combat game series. 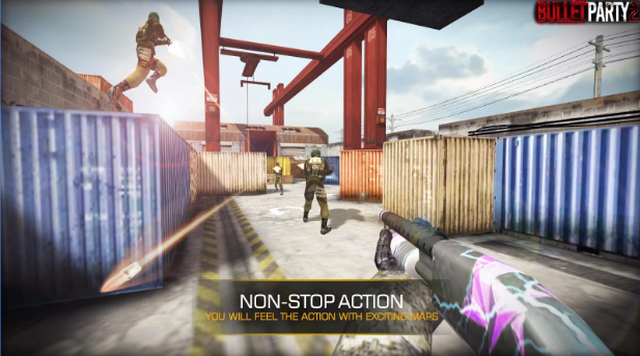 Modern Combat 5: eSports FPS Gameplay Trailer (Video). 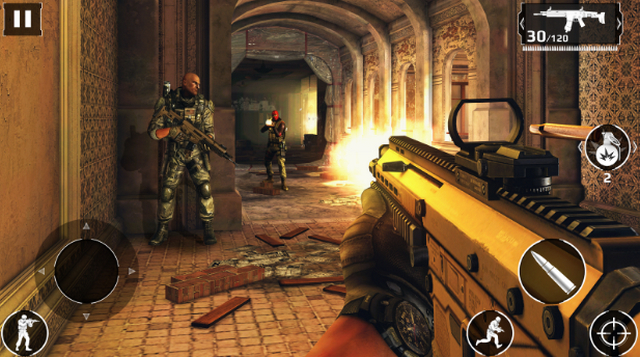 Feel the rumble of Modern Combat 5: eSports FPS on your Android phone right now. Download the best Android FPS game below. Download best shooting game for Android Modern Combat 5: eSports FPS here. 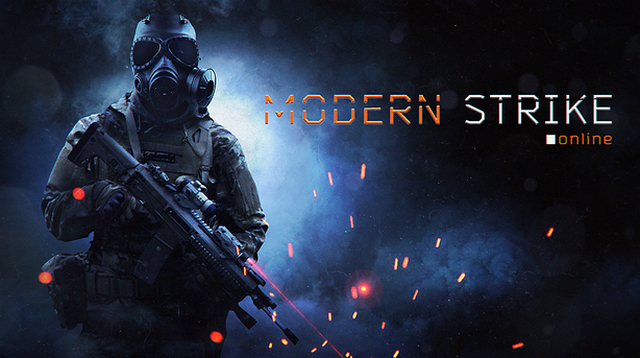 Next is the Modern Strike Online Android game. Here you will act as a terrorist exterminator. One of the best FPS Online games offers pretty good graphics. There are 6 game modes with 100 different maps. In addition there are 30 types of weapons that can be used. Modern Strike Online Gameplay Trailer (Video). Modern Strike Online game for Android free download, here. 10. Sniper Fury: best shooter game. 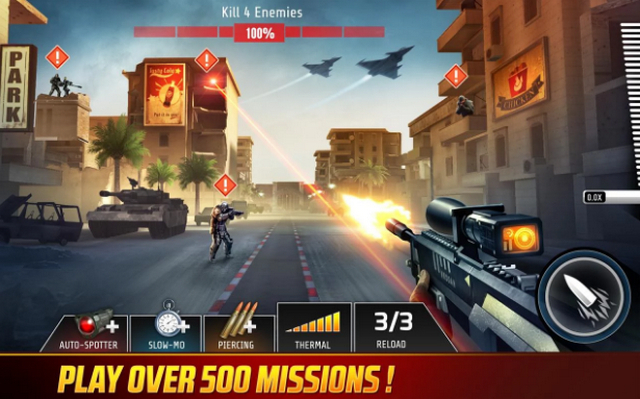 Sniper Fury is one of the best shooting games for Android created by gameloft. In this game, you play a soldier who served to finish off the opponent. Like the title, Sniper, here you will use more sniper weapons. See also: Best Exciting Android Games. Sniper Fury: best shooter game Gameplay Trailer (Video). Sniper Fury: best shooter game free download, here. Challenge your courage to face bloodthirsty zombies ready to stab you in the Dead Effect game. Android FPS games with cool graphics quality and a large selection of these weapons, you must download and try it yourself on your Android phone. Dead Effect Gameplay Trailer (Video). 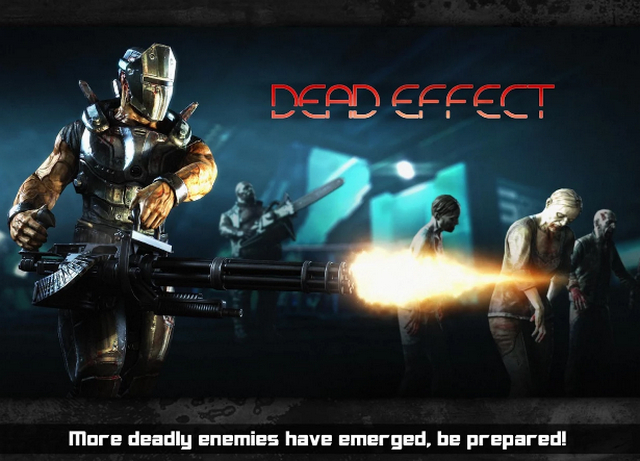 Download best shooting game for Android Dead Effect here. If you look at the graphics, maybe for a moment you will not be amazed. Because Neon Shadow offers classic, but cool graphics. However, if you already play it, you will realize that this game is fast paced and has an exciting gameplay. If you can not wait to feel the thrill of Neon Shadow game, download now! Neon Shadow Gameplay Trailer (Video). Neon Shadow game for Android free download, here. 13. Crisis Action: NO CA NO FPS. Crisis Action offers a distinctive graphics with a cool and cool anime style. The choice of weapons are many and definitely not make you bored. Starting from the gun, riffle, sniper, even gattling gun was available in this Android FPS game. Crisis Action Gameplay Trailer (Video). Game made by Hero Games this could be the right choice for you FPS lovers. Feel the thrill of Crisis Action with the download of the game below. Download best shooter game for Android Crisis Action here. 14. Bullet Party CS 2: GO STRIKE. For you game lovers Counter Strike on PC, you will definitely love this game made Bunbo Games. Named Bullet Party CS 2: GO STRIKE this game offers gameplay and map like best shooting games for pc, Counter Strike. A variety of unique weapons can also be used when fighting here. You can fight with BOT or with other players online. Bullet Party CS 2 Gameplay Trailer (Video). Bullet Party CS 2: GO STRIKE game for Android free download, here. 15. Hellgate : London FPS. Hellgate : London FPS is an FPS game made by HandbitSoft Inc. In this game, you are required to kill the various demons that are in front of you. Do not forget to upgrade weapons to kill them easily. Hellgate : London FPS Gameplay Trailer (Video). Download best shooter game for Android Hellgate : London FPS here. See also: Best Offline Android Games. 16. Final Shot - FPS. Netmarble Games does not seem to want to miss making the best FPS game on Android. Named Final Shot, this game has the best graphics and gameplay is quite exciting. In addition, this game can also be played with your friends online. Final Shot Gameplay Trailer (Video). Final Shot FPS game for Android free download, here. 17. Dead Earth: Sci-fi FPS Shooter. 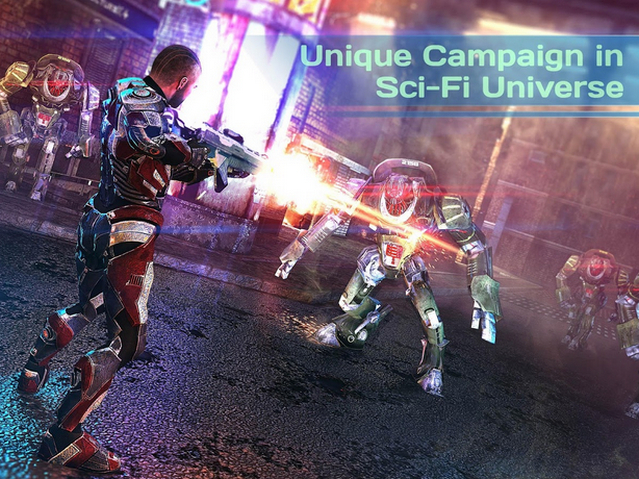 Dead Earth: Sci-fi FPS Shooter is an Android FPS game made by ThunderBull Entertainment. This game tells a man who rebels against robots who want to control the earth. Players are required to eradicate all robots using various weapons already provided. Dead Earth: Sci-fi FPS Shooter Gameplay Trailer (Video). 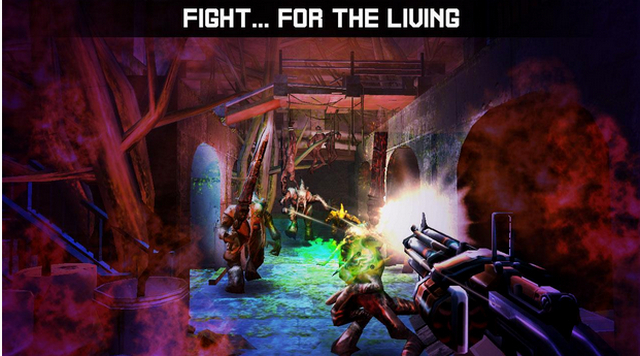 Dead Earth: Sci-fi FPS Shooter game for Android free download, here. Take a deep breath and get ready to pull the trigger to shoot your enemy! Modern Commando Frontline is the best Android FPS game packed in a war game. Face enemies with Ak-47 weapons, snipers, shotguns, mini-guns, bazookas, and more. Modern Commando Frontline Gameplay (Video). 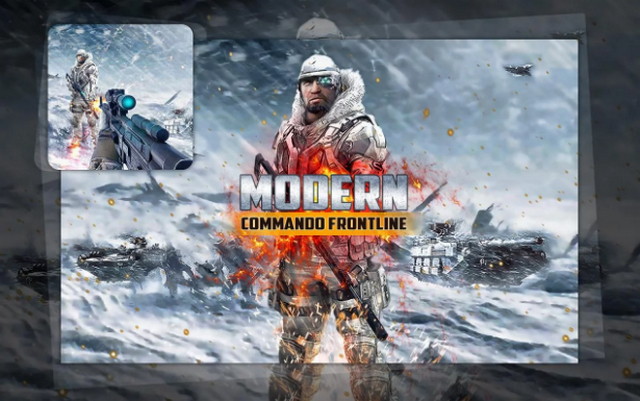 Download best shooting game for Android Modern Commando Frontline here. That's the best list of Android FPS games you can play and download on the Google Play Apps Store. Among the 18 best FPS and shooting games above, which is your favorite game ?. 0 Response to "18 Best Free FPS and Shooting Games for Android offline - Online"